Chrome 68 was released about two weeks ago, and Chrome 69 just arrived in the beta channel. There’s usually a week delay between Chrome and Chrome OS being updated, and now Chromebooks are being updated to v68. This release includes an updated Material Design UI, PIN support for signing in, camera improvements, and more. Select-to-Speak ability to select specific text to be read aloud by highlighting the text, then pressing Search + s. This works in addition to the original behavior of pressing Search and clicking an item or dragging a box around content to be read aloud. It’s interesting to see the Chrome OS team refer to the updated design as ‘Material 2.0,’ considering the rest of the company calls it Google Material (‘Material 2.0’ was used by some publications/fans prior to the official announcement). Regardless, the dev team has been hard at work giving Chrome OS a fresh coat of Material paint. 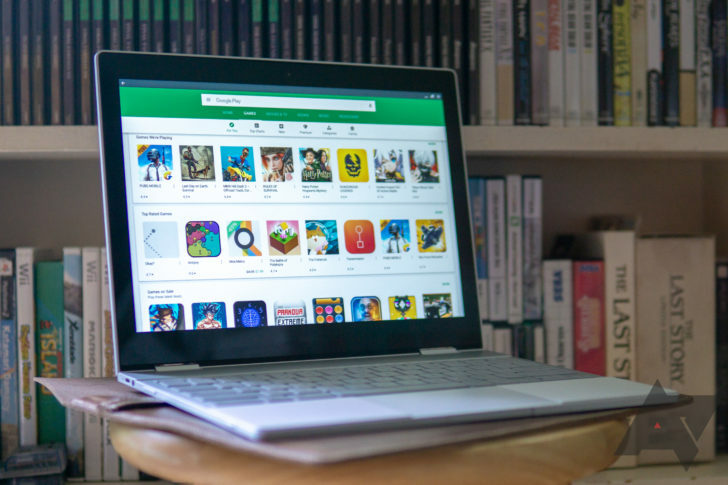 The improvements to ChromeVox should greatly help users with disabilities, and the camera app improvements will be a nice holdover until Google Camera gets ported to Chrome OS. The update is rolling out to all supported Chromebooks, but it could be a week or two before everyone gets it.